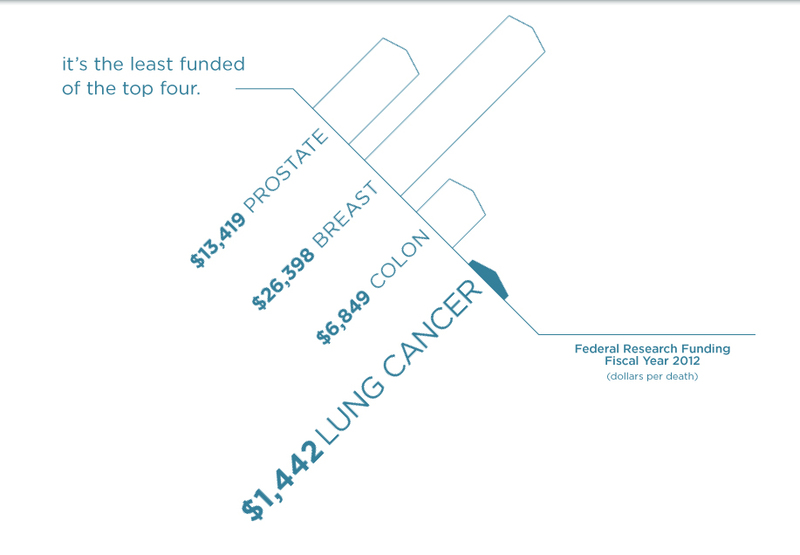 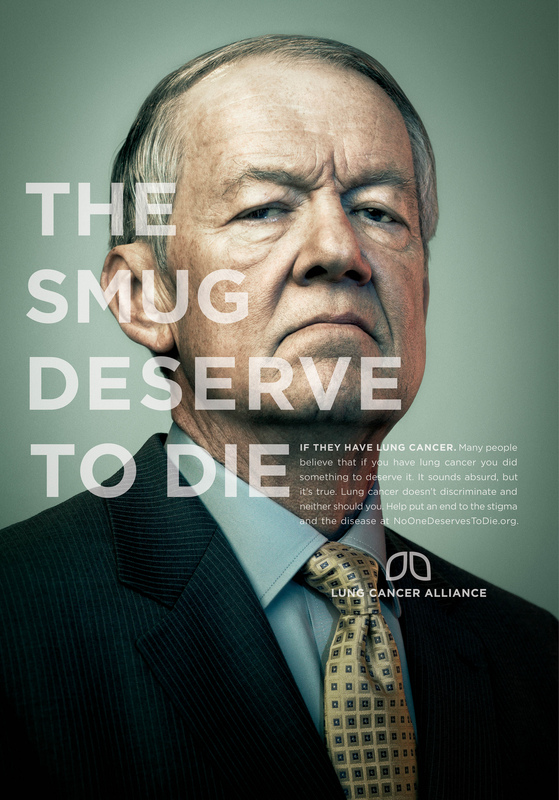 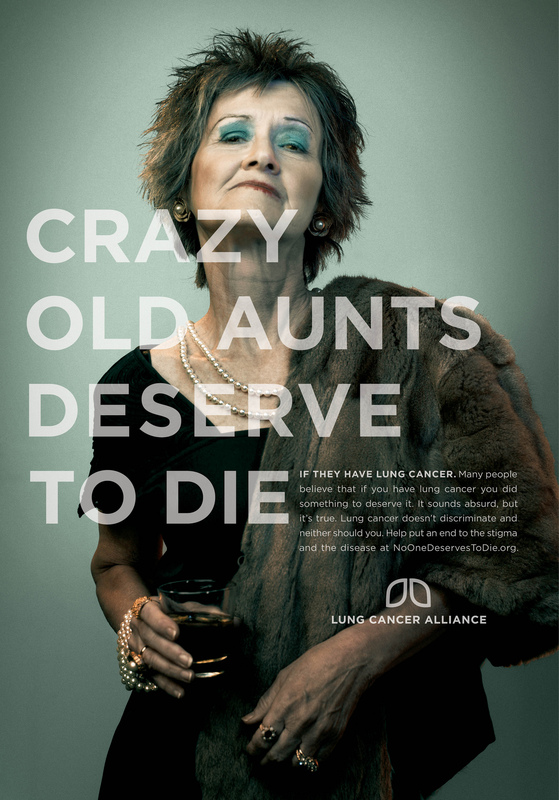 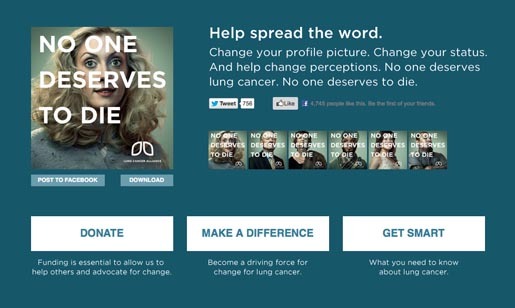 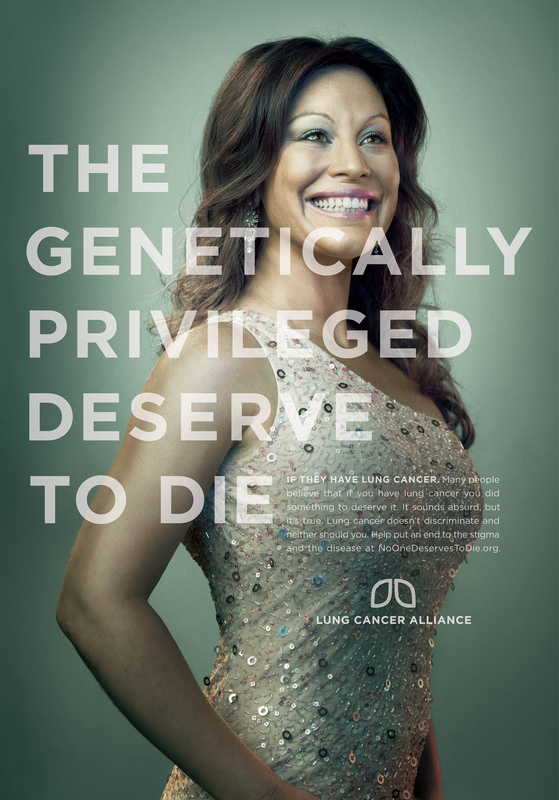 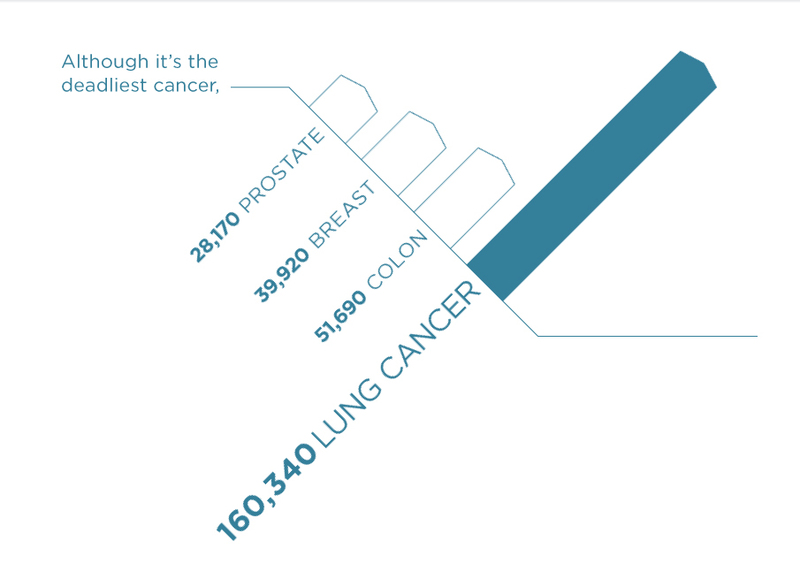 The Lung Cancer Alliance in the USA is running “No One Deserves to Die”, an advertising campaign designed to raise awareness of the need for more research funding and better early diagnosis of lung cancer. 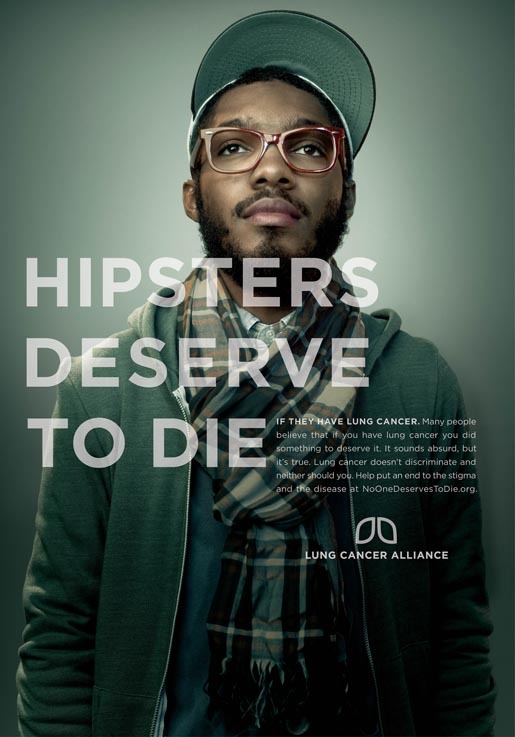 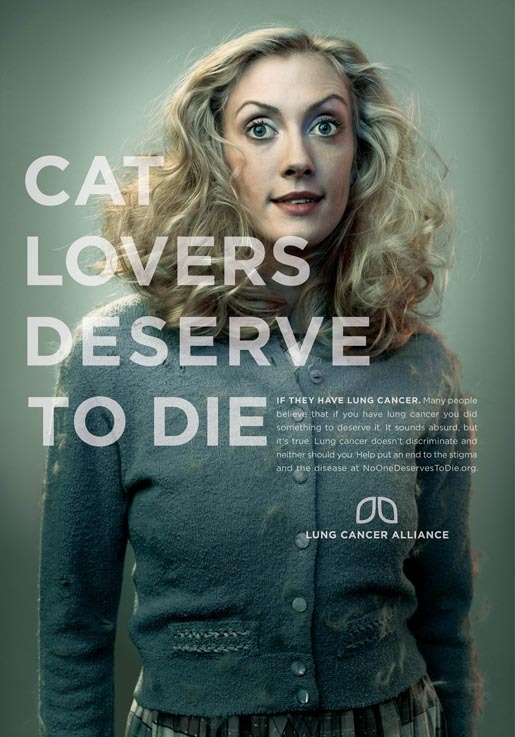 The campaign’s connection point has been a series of six posters, suggesting that cat lovers, crazy aunts, hipsters, the genetically privileged, the smug, and the tattooed deserve to die, if they have lung cancer. 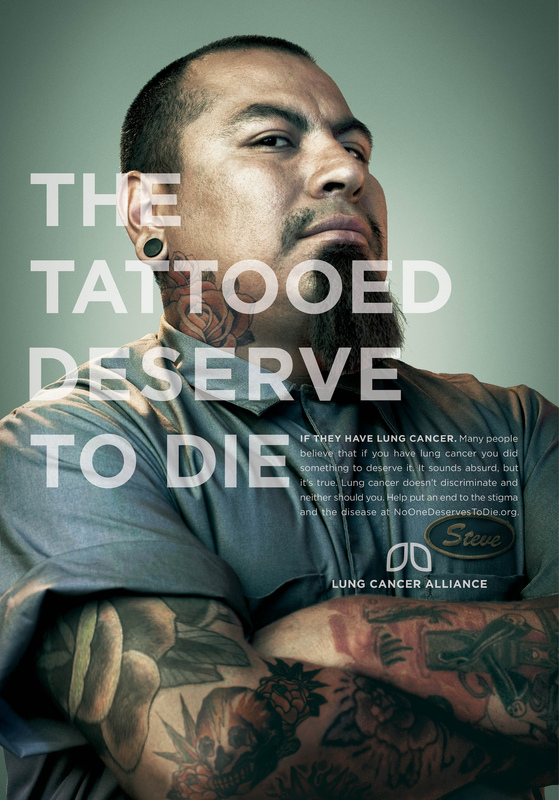 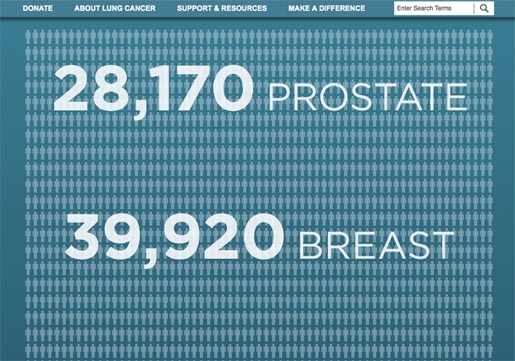 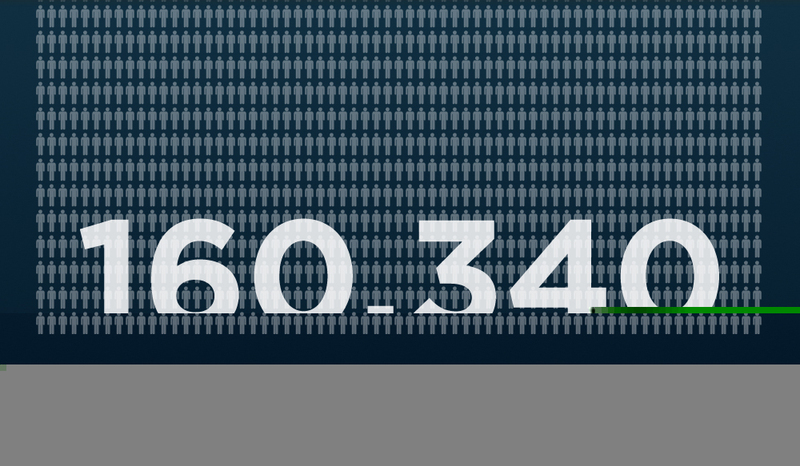 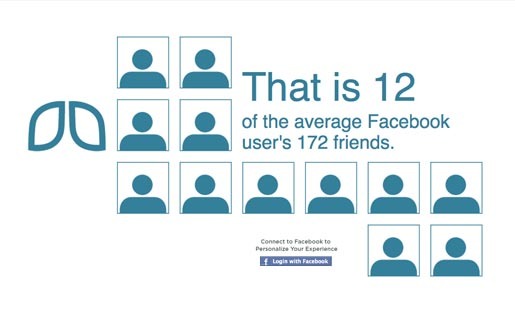 The messages on bus shelters, phone kiosks, in subway stations, in movie theaters and online, point to noonedeservestodie.org, where visitors who scroll down are introduced to the realities of lung cancer prevalence and poor funding in comparison to breast cancer, colon cancer and prostate cancer. 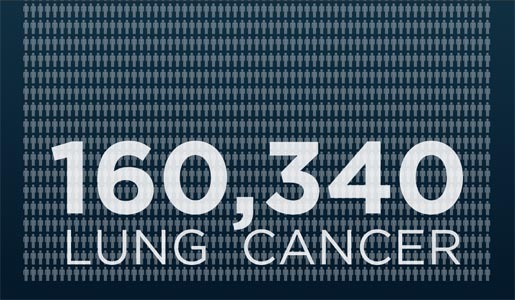 The campaign was developed at Laughlin Constable, Milwaukee and Chicago.